Shirdi Sai temple is a beautiful shrine that was built over the Samadhi of Shri Sai Baba . 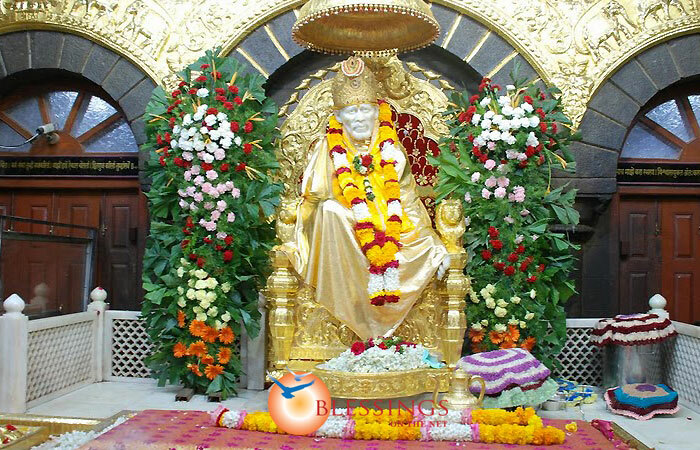 Shirdi is famous temple of Shri Sai Baba. The temples to visit in Shirdi are Saibaba temple & other temples like Dwarkamai, Chavdi, Khandoba Temple, Nand deep, Sai Museum . Shanishingnapur is the only village in the world where there are no doors or locks, the symbolism being Lord Shanis is so powerful that no one can steal anything and leave the village. Day 01 proceed to visit Proceed to Nashik visit Tribakeshwar Jyotirlinga Temple then Visit Muktidham Temple & Panchavati Temple Sita Gufa, Kapileswar temple, Kalaram temple. Please Note for Panchvati temple visit Car will be parked near Godavari Ghat you will need to take a Rickshaw with a local guide visit all the temples within a radius of 1.5 Kms as car cannot go inside small lanes. Night halt in Shirdi. 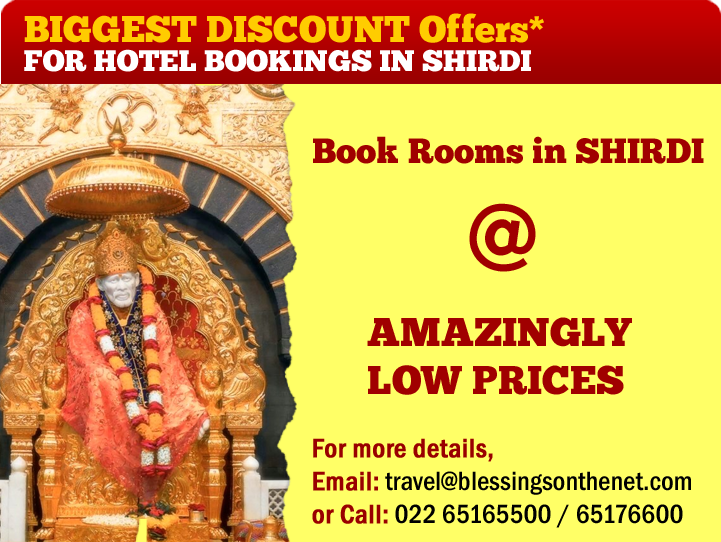 Day 02 - visit up visit Saibaba temple & other temples like Dwarkamai, Chavdi, Khandoba Temple, Nand deep, and Sai Museum all in the same complex - Night halt in Shirdi. Day 04 - Morning proceed to to visit Aundha Nagnath Jyotirlinga & Parli Vaijnath Jyotirlinga visit Tuljapur Bhavani temple one of the Shaktipeeth temple move Solapur - Night halt in Solapur. Day 05- Morning proceed to Pandharpur - Visit Vitthal temple , Rukmani temple ,Pundalika temple ,Vishnupad temple & Sri Radha Pandrinath or ISKON temple proceed to Kolhapur Night halt in Kolhapur .